One thing a boy always does is look up to their dad, well our boy’s do anyway. Lee has recently been showing signs of being ready to shave so learning how to shave is something he has been wanting to do for a while now. He has been asking Ian lot’s of questions about it and just generally showing a real interest in all different types of razors and shavers. One question Lee has asked is “am I old enough to start shaving yet” is there an actual age to start shaving? Lee is 15 years old, and has been recently using the Philips PT871/19 shaver and I must say he was very nervous at first when he first started using it but who wouldn’t be, it must be frightening putting something like that to your face for the first time. 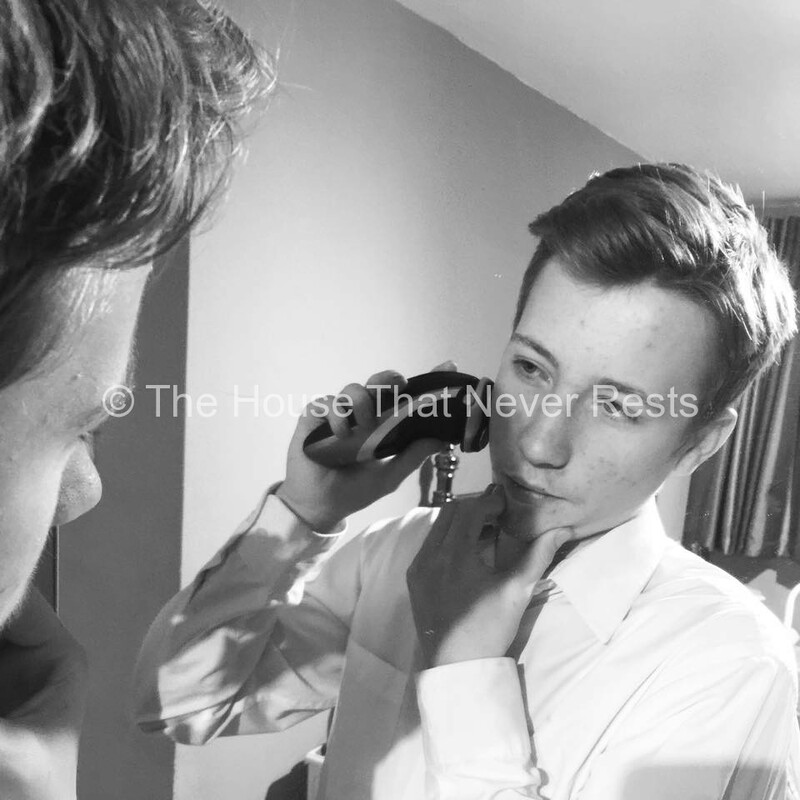 Before Lee used the shaver for the first time he sat and read the booklet that came with the shaver so he knew how it worked and what does what so it was not so daunting for him, well a young boy learning how to shave it is a big milestone for him. The shaver is a nice size for Lee and he loves the colour. He found the whole shaving process rather fun, he had some one-to-one time with Ian looking and talking about shavers they also chatted about the difference between them all. We thought the charging time for this shaver was brilliant, only taking 1hr to fully charge, this would give Lee 50 minutes shaving time which was plenty of time for him to have a comfortable shave. The shaver is mains charged, has a Li-Ion battery and is also rechargeable, with the shaver being cordless this made the shaver easier for Lee to use. 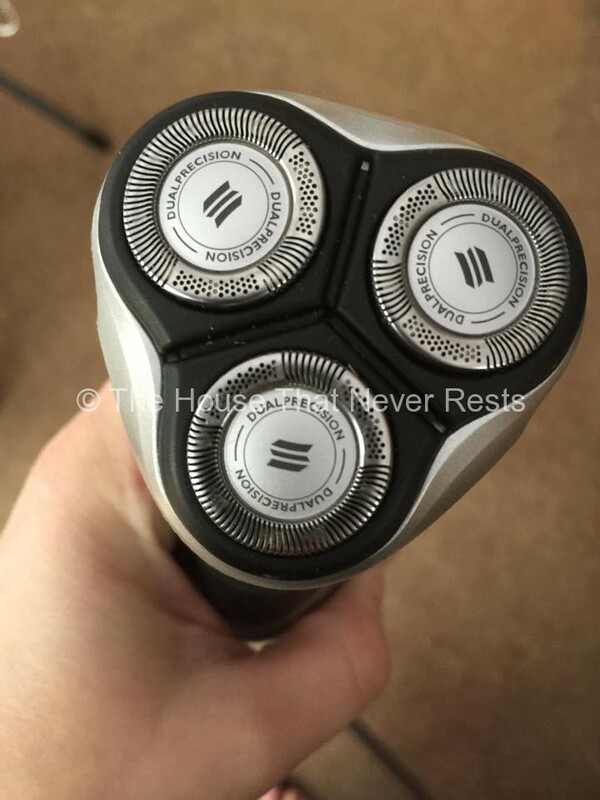 The dualprecision cutting – dualprecision shaving heads was perfect for Lee as they have slots to shave normal hairs and holes that shaved even the shortest stubble, this made a good shaver for Lee who is learning how to shave. 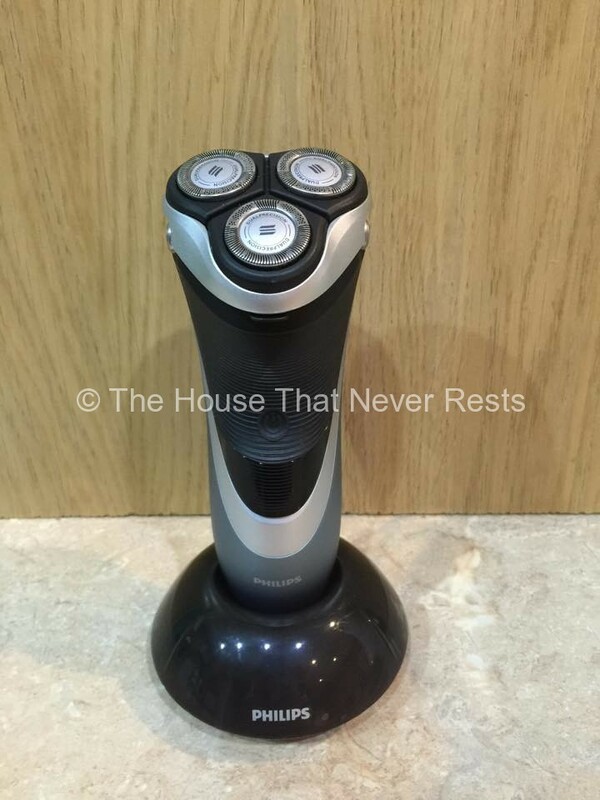 Lee found this shaver very easy and comfortable to use as a learner shaver. Lee was amazed after his shave as the shaver has a lift and cut action on it with a dual blade system, this lifted Lee’s hairs and cut them comfortably below the skin level to give Lee a close up shave that Lee found to be pain-free. The other function on the shaver is the pop-up trimmer, this is used for grooming sideburns and moustache. Lee loved the Dynamic Contour Response as it automatically adjusted to every curve of his face and neck for a smoother shave. If the shaver was to run low the battery had an indicator come up to warn him. When finished using the shaver Lee just popped it on the stand which will then charge the shaver until he needed to use it again. Lee is now happy and comfortable with shaving and really enjoyed learning how to shave. 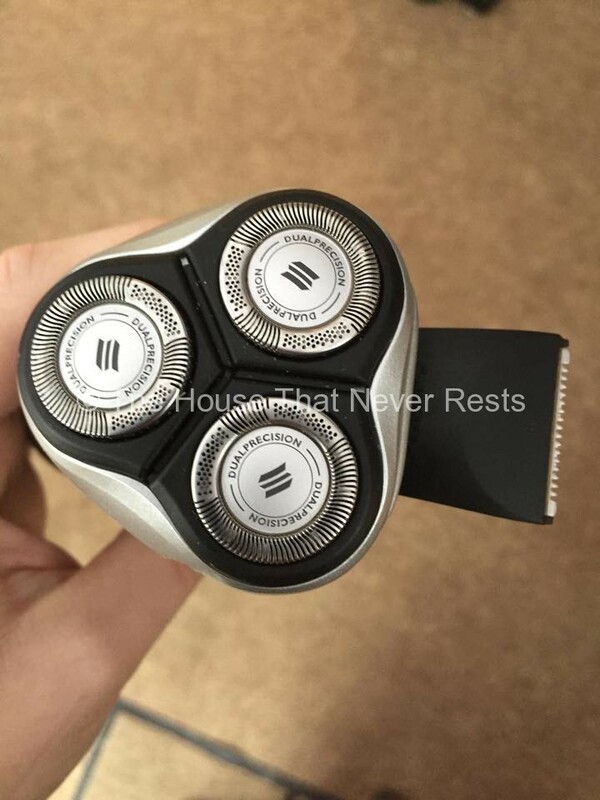 Disclaimer: we received the shaver for the purpose of our review all thoughts and opinions are 100% our own.